The former MGP site is located in the middle of Georgia. The site soil and groundwater was contaminated from the MGP processes. In-Situ Solidification (ISS) was the chosen remediation method to meet all project specifications, requirements, and standards. 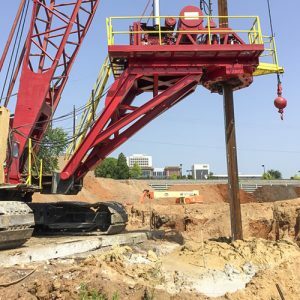 Geo-Solutions performed the installation of approximately 1,100 in-place soil mixed columns to a maximum depth of 30 feet BGS. 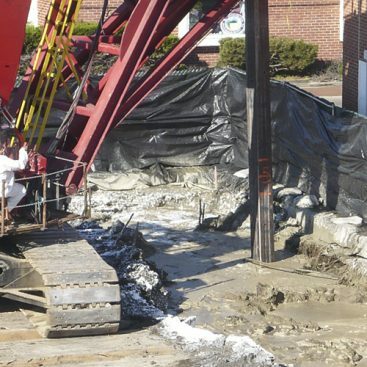 Geo-Solutions utilized the large diameter auger mixing technique to remediate the site. The columns were mixed using a Calweld drill platform with an attached ten foot diameter mixing auger. All collected samples achieved or exceeded the minimum specification for hydraulic conductivity (permeability) and UCS (strength). These collected samples were a true representation of the 47,000 CY of soils that were treated and solidified. 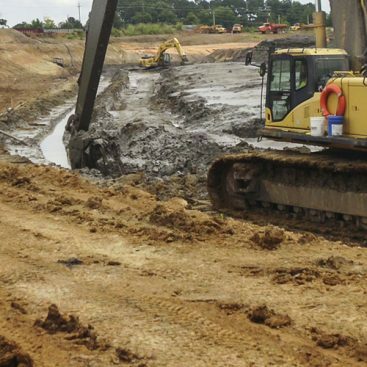 Geo-Solutions also excavated approximately 40,000 CY of impacted soils to be loaded off site and disposed and material slated for clean, reusable backfill. The intricate design and locations of these specific soils were critical in the constant continuation of moving the project forward. The scope of site work included work in a close proximity to buildings and active railroad tracks. 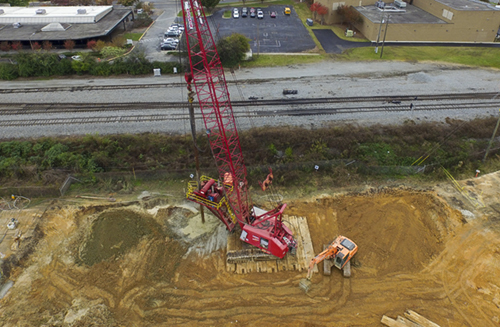 The design also required the coordination, removal, and replacement of utility lines including high pressure natural gas pipeline, water, and sanitary sewer lines. All traffic plans and changes were handled effectively while mitigating any outside effect on the surrounding community. Odors during the restoration process were held to a minimum with no complaints from the surrounding residents, employers, and personnel. Following the remedial activities, spoils and reusable backfill were graded per the design with additional permanent stabilization features including grassing. 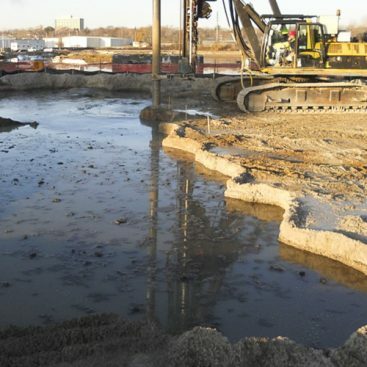 Geo-Solutions maintained the critical path of ISS remediation on schedule. 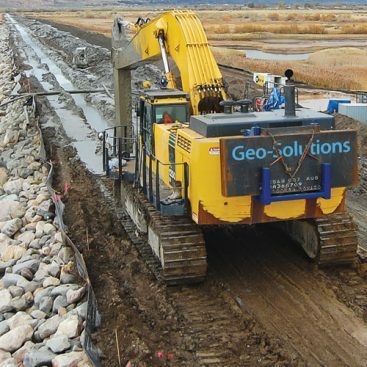 Geo-Solutions worked with the client to determine best path forwards with out of scope work and unforeseen conditions.